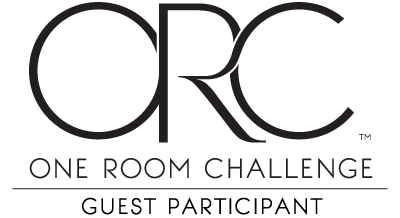 The One Room Challenge officially kicks off today and, although I’m not starting the room I intended, I am still super excited! As most of you already know my kitchen is my main focus right now, so I am hoping to FINALLY make some progress and get it completed in the next 6 weeks. For a full tour of the space and details about the changes, you can check out this post and video. The cabinets will be getting a facelift and tile is getting removed, but the countertops and floors are staying. My husband has given me a $6000 budget, that I’m hoping to stretch as far as possible. 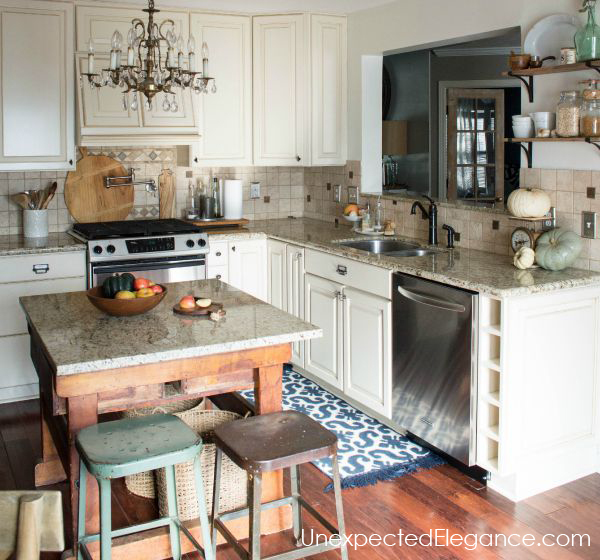 As most of you know, even though that’s a significant amount of money it doesn’t go very far in a kitchen remodel. I’ll be doing all the work myself and will have to get a little creative! 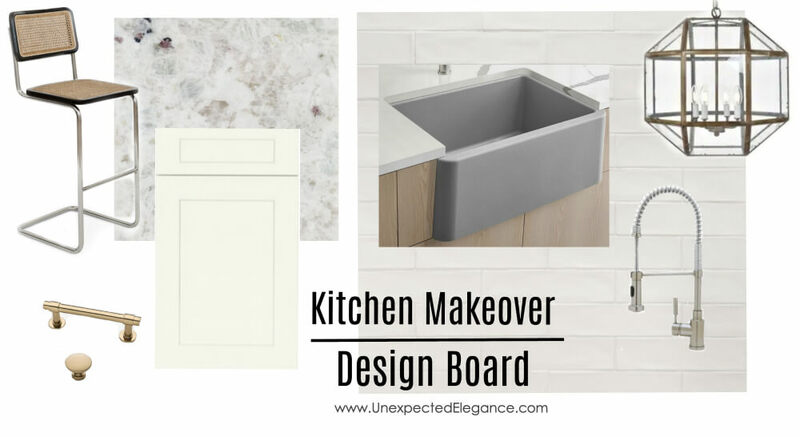 I’ve been planning for this makeover for several months, and you can see my design board details HERE. I’ve already tweaked some things, but this is pretty close to all the finishes and design elements that will be in the finished space. Currently, I have demoed the backsplash, replaced the backer-board and started building the range vent hood. Like most things, it’s taken much longer to than anticipated. I’m crossing my fingers that the cabinet doors arrive by the end of the week and I can get started on tiling next week. I’ll be tiling 3 full walls, so it’s going to take a while! I can’t wait to see all the rooms transformed for this challenge. If you are doing a room, I’d love to follow along. Just leave me a comment below with your link! Also, check out the other ORC participants HERE. 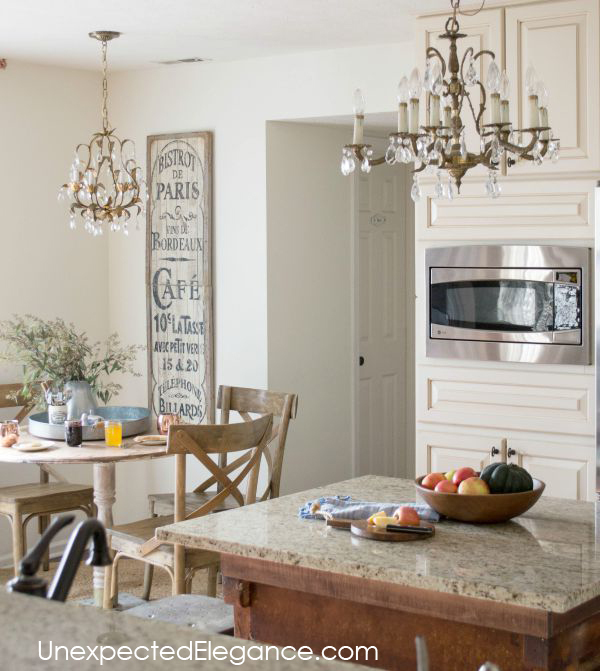 Love your mood board – especially that sink and light fixture!